Our company was originally established in Nelspruit, Mpumalanga in 1990. We are currently situated near Stoffberg, Mpumalanga which is central to 3 provinces namely: Mpumalanga, Gauteng and Limpopo. Our main area of activity is wooden jungle gyms provided to individuals, nursery schools, schools and church playgrounds. We recently also began manufacturing our own wooden fencing. The business is currently owned by Fanie van der Merwe who boasts with 20 years plus experience. Our company’s mission is to provide a top quality product to our clients, as well as, personal interaction and the best service possible at all times. 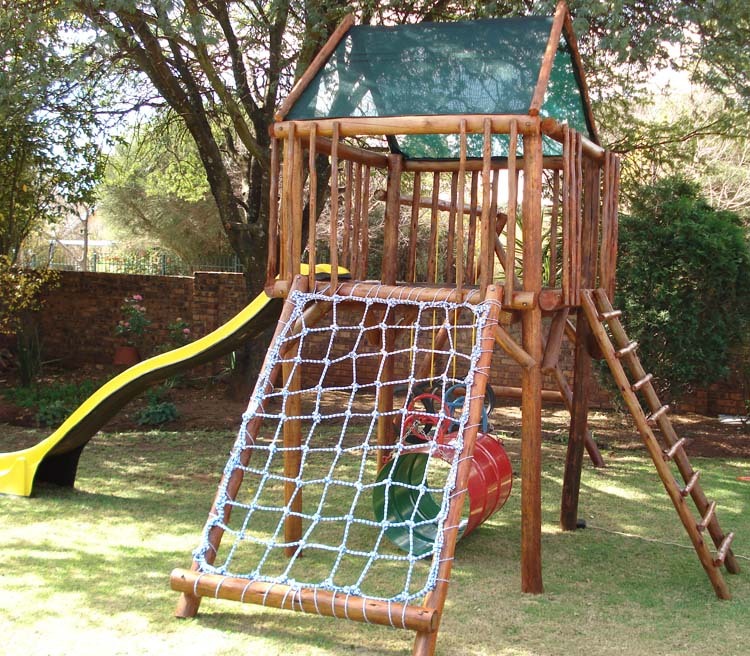 We also enable our clients to add on or leave out components on the wooden jungle gyms, according to their specific needs. Our vision is to expand our business to include other provinces as well, thus creating more job opportunities, but still providing personal contact at all times. Having had family in the furniture business, many people approached them about jungle gyms, not knowing how to keep their little ones busy. That was when our first jungle gym was manufactured. It provides children with hours of fun outside, teaching them different skills and providing exercise at the same time. Thousands of toddlers play on our equipment each day. Our original designs were based on the furniture being manufactured at the time, using treated poles and lathes. The lathes used on and around the platform of each jungle gym was an idea taken from headboards and garden chairs manufactured at our family furniture business in 1990 and the tradition still carries on today. Our designs and manufacturing processes are constantly undergoing refinement and indeed client feedback has contributed significantly to an improved product.